Colored version of this image. The image is a copy of an etching by Hollar for the book The history of St. Paul's Cathedral in London, 1658. This engraving (i.e. 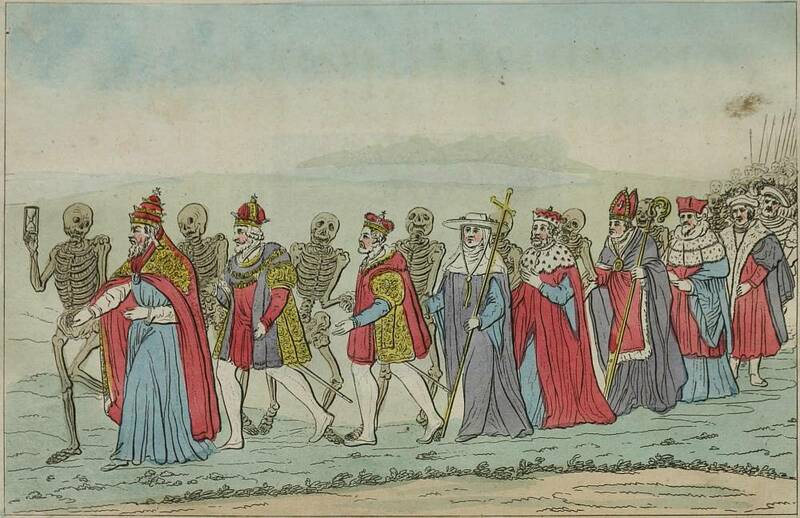 the copy) was printed along with Hollar's copies of Holbein's great dance of death in many editions from 1790 to 1816, and most of the 1816-editions were coloured. There's a larger version here: Hollar 1816.